Last month allowed for a quick weekend escape to Bonito in the state of Mato Grosso do Sul. I flew with a group of friends to Campo Grande, where we hired two cars and set off towards Jardim to find the Rio da Prata for an afternoon of the most amazing snorkelling in a crystal clear river where big and beautiful fish watched us impassionately, going about their own business. 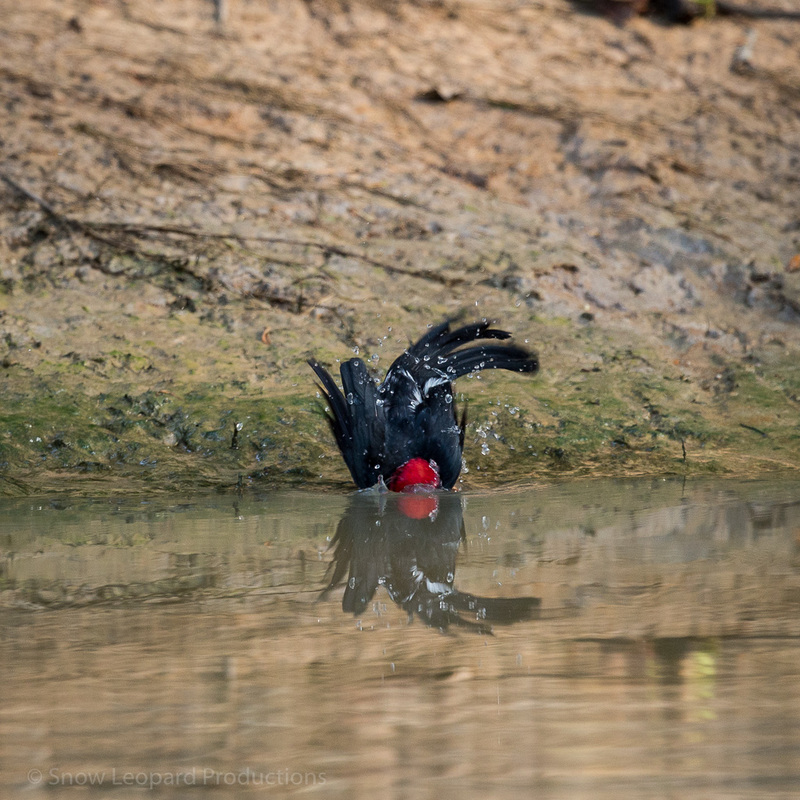 Originally we had intended to go straight from there to the Buraco das Araras, a sinkhole that is five minutes away, where red-and-green macaws nest and fly around in an outrageous display of colour. But we had lost time on the way to Jardim, so we postponed it to the next morning. Due to the time of day I didn’t expect too many aerial displays, but the birds obliged and allowed for some lovely photography, but not before we were treated to the sight of an armadillo. Even the normally shy toco toucan was collaborating that morning at the pousada were we stayed in Bonito. This one is apparently a regular visitor and I got some nice photos of it. And now we head from the Antarctic to the tropical jungle! A while back, friends of mine pointed me in the direction of the Cristalino Jungle Lodge, north of Alta Floresta (Mato Grosso). At the time I looked at it and thought it looked neat, but a bit too expensive. Fast forward a few months and I was looking for an option to escape Sao Paulo for the NYE celebrations, which take place two blocks away from my apartment. I’ve suffered through it two years in a row and I was not going to live through a third one. And so I threw financial caution to the wind and booked myself into a nice room for four nights and secured a good return flight with Azul Airlines, which is the only one to make the connection to Alta Floresta via Cuiaba. Well, it was magical, and I’m so glad I went there. I left on 30 December and with all flights on time, I arrived in the small town of Alta Floresta in the early afternoon. There, transport was waiting for me and six other people who arrived on the same flight. We piled into the van for the hour drive to the river. As we navigated through the town it struck me that building after building were evangelical churches. I don’t think I’ve ever seen so many churches in one town, which surely doesn’t have a large population to sustain these. 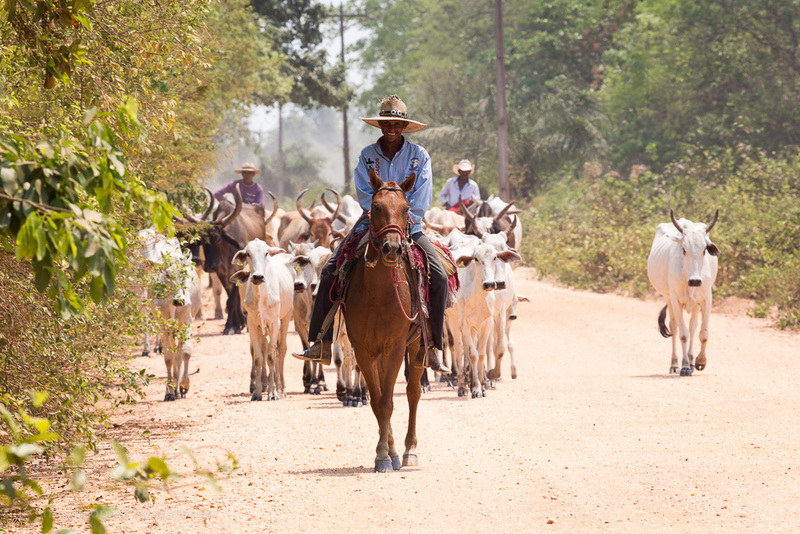 Bumping along the dirt road out of the town we drove past cattle farms, seeing where the rainforest had been cleared to make way for cattle grazing. In other areas patches of rainforest will still standing. When we got to the gates of the Cristalino property all forest was intact and at the river our luggage was transferred into a slim aluminium boat and we were off to the lodge. Five minutes into the journey, Diego, our boatman pointed out the meeting of the waters where the brown waters of the Teles Pires river meet the black waters of the Rio Cristalino. Similar to the meeting of the waters you can see near Manaus, the brown water was much warmer than the cool black waters of the Cristalino. After another 15-20 minutes or so in the boat, we came around a corner and saw a floating deck in the river, attached to a large wooden pontoon and stairs that led into the jungle. We had arrived! Our guide Benedito was waiting for us and took us to the social centre of the lodge, where the bar, dining room and library were located. As we walked the paths through the forest to the lodge we saw capuchin monkeys chasing each other in the trees. After a refreshing juice we were taken to our rooms where our luggage was already waiting. I quickly unpacked and then grabbed my camera to walk to the river for some photography. Jo, one of the staff of the lodge and two of the women who had come on the boat with me were just walking to the deck and asked me to come along on a boat ride they were going to take. Again it was Diego who steered the boat and with his good eye for wildlife he was a marvel for finding animals that afternoon. We started off by seeing Muscovy Duck, which surely have to be considered the Elvis Presley of birds with an impressive ‘hairdo’. 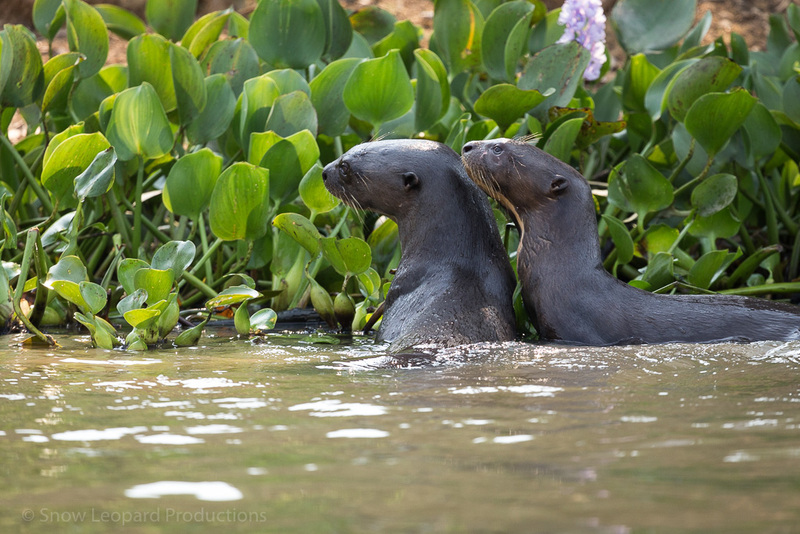 This was followed by a sighting of a neotropical otter, who had just come out of the water and was walking up the sandy bank of the river. It positioned itself behind an piece of wood, eyeing us wearily. More birdlife followed, including a tree covered in Neotropical Cormorants. We waited at the meeting of the waters to see if the sunset would produce beautiful colours, but the light fell a bit flat. As we turned around to head back we saw a snake swimming in the river, elegantly and swiftly moving along in the current. I’ve been put in a group with the family group from Goiania: Stella, Carolina and Bruno, and Alessandra. The next morning we start walking at 6am to the observation tower closest to the lodge. On the way we see a white-faced spider monkey in the trees. Due to their long limbs, they really look like massive hairy spiders as they move through the trees. At the tower, on the 30m platform, we don’t see much at first. Benedito offers to let me stay in the tower on my own as he takes the rest of the group for a further walk. About five minutes after they have left the tower the birds start coming out. A pair of aracari work their way down the branches in a tree, whereas in another tree a pair of black-girdled barbets feed on fruit. I can also see capuchin monkeys moving in the trees below. White-bellied parrots fly over a tree further out. I’m enjoying my photography, but with the long distances and the high ISO I need to use, the results are not as spectacular as the act of watching the birds themselves. At 10 I am at the bottom of the tower as agreed, just as they return to collect me and together we walk some further trails. We see a red-headed manakin and incredible large bright blue butterflies that flit around, impossible to photograph. The crowning glory of the morning comes when we encounter a Southern Anteater, who is poking around a log for ants. As the anteaters are virtually blind during the day, by keeping quiet we can observe him for quite some time and take lots of photographs. Back at the lodge we meet Allison and Samuel, who will join our group for the excursions over the next few days. After lunch, I have a bit of a rest and download photos before we head out again at 4pm. We take a boat further upstream and then start our walk. Benedito was not exaggerating when he said that it was steep. The path is very steep and flanked with poisonous plants, so we have to be careful where we step and what we hold on to. The key attraction of this path is to see poisonous frogs, but they don’t show themselves in the heat of the afternoon. Eventually we top out at a panorama view of the forest canopy. After we return to the lodge I have two beers that don’t even touch the sides, I am so thirsty, but they help me cool down and after a shower and a rest I am ready to face New Year’s Eve festivities. There is music and a big dinner and at midnight champagne for everyone to toast the new year. And the final bonus is a sleep in the next morning, as there will be no early excursions on the first day of the year. I have a nice relaxed morning, breakfast at 9.30am and after a visit to the shop, it starts raining. I head back to my bungalow and install myself in the hammock with a book, while it buckets down. 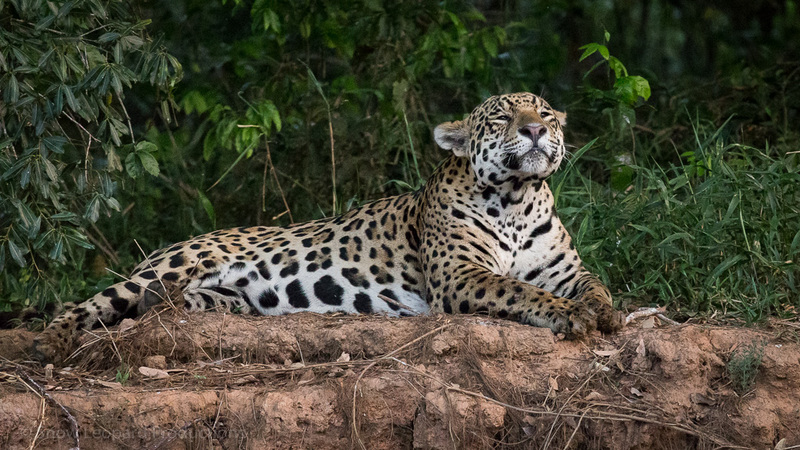 It lightens up towards lunchtime and after lunch I sit down with Benedito to go through my jaguar photos from the Pantanal. He works as a guide there also and was able to immediately recognise some of the jaguars in my photos, and try to identify the others with the help of a database. We are able to identify most of them, but a few are unknown to him and not found in the database. There is time for a swim in the river before it starts raining again, but by 4pm it is dry and we leave to visit the other observation tower, which is just on the other side of the river. 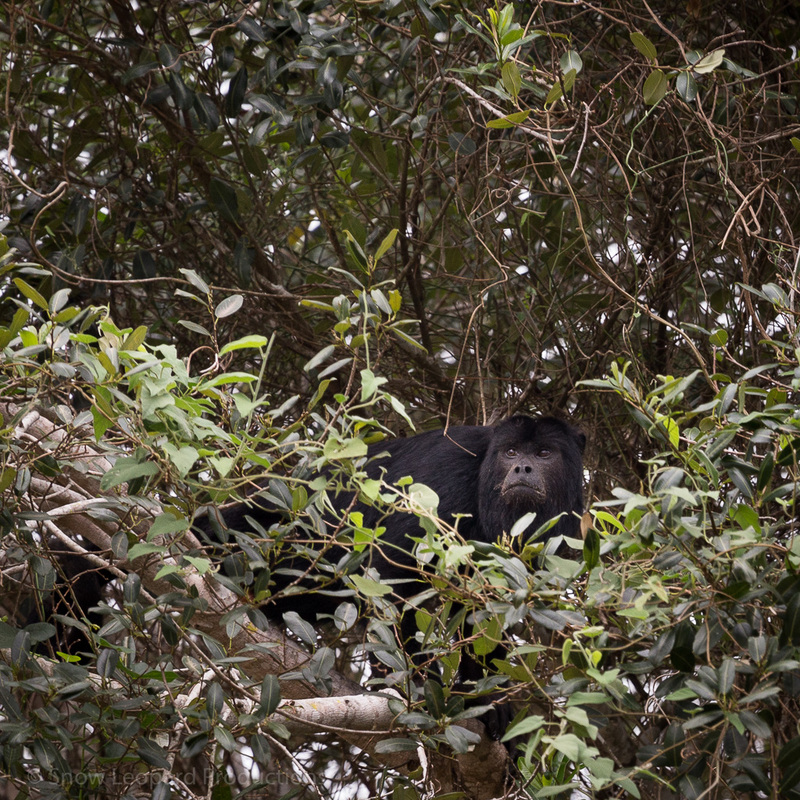 On our way there we see saki and white-faced spider monkeys. The saki monkeys pelt us with nuts, not enjoying our presence below them. At the tower we don’t see much and as the rain sets in again, we descend and return to the boat. Diego has seen some giant otters in the river and we follow them until they return to their nest. The next morning I’m heading out with Victor and Lorena, two biologists who do bird research here and Victor also works as a guide at the lodge. We head out early in the darkness to the second tower and head up to the platform at 35m. There is some light rain and a bit of threatening thunder. I’m a bit hesitant whether we should stay in this high metal structure with thunder around, but it moves off and shortly after the rain kicks in. I huddle in my rain jacket and monitor my camera in its rain cover, hoping for the rain to lighten up. Half an hour goes by, then an hour. I watch the tops of the trees get heavy with rain and then they start to sway with the weight of the water in their canopies. The first sign that the rain is starting to diminish comes from the insects that are coming out again, quickly followed by the birds. First I see two spangled cotingas, then a white-throated toucan. Unfortunately the break in the rain is not long and dark clouds move in on the tower and burst into thunderous rain. We decide to descend and return to the lodge. We won’t see any birds at this rate. Below the path has turned into a river and we slosh our way back to the boat for the short ride back. My pants are soaked, my socks are clogged with water that sloshes around in my hiking boots. Despite the fact that everything is soaking wet, it is an exhilarating experience to be out in an Amazonian rain storm. Back in my bungalow it is a slow process to peel off the wet clothes, rinse of the mud and pull the camera bag apart to dry out. The camera has held up well, but the bag is a mess, rain cover not withstanding. Fortunately the sun comes out after lunch and I get a chance to put most things out in the sun to give it an extra chance of drying. My boots however, will not be dry for another three days! The afternoon features a boat trip up the river. We get treated to flocks of scarlet macaw and blue and yellow macaw, squawking through the canopy. We see a river swallow, cayman and a big lizard on a tree trunk. There is a small section where we have to walk, which I did not expect. Only wearing flip-flops inevitably this is a recipe for disaster in the form of an army ant, who decides to have a nip at my left middle toe. It is very painful and for a week afterwards I have serious thoughts of amputating the toe, it is so painful and itchy. On our return we hop into the kayaks and paddle our way back to the lodge. It’s a lovely and relaxed afternoon (minus the ant bite) that passes far too quickly. The next morning our departure is scheduled for 10am, but we get one more early morning excursion to the second observation tower. This time there is no rain, just ephemeral clouds hanging low over the rainforest. As we climb the tower we emerge above the cloud cover and we wait for the birdlife to appear at dawn. Benedito spots a Pompadour Cotinga, far off. The Spangled Cotinga is also in its usual spot. The White-breasted Toucan has appeared and then, in the trees below, a young White-faced Spider Monkey crashes about, looking for fruit to eat. He swings about from branch to branch in his search for ripe fruit, oblivious to anything else, whether it us looking at him, or a potential Harpy Eagle that could come to have him for breakfast. At the very last moment, my wish to see a Paradise Tanager is fulfilled. The photos are not fantastic, but it is there, perched on a branch, a vision from heaven in all its gorgeous colour. Eventually it is time to return, to have breakfast, to shower and change and to pack my suitcase. Almost a year to the day that I went to the Pantanal for the first time, I am back. This time I travel with friends who are equally, if not more, passionate about photography. A second visit is always different; you can’t recreate the thrill of seeing a jaguar for the first time, but it is still as exciting to see them. And this time there was an anaconda, something I had not seen last year, plus some very daring (and increasingly problematic) giant otter. We left Sao Paulo on a Wednesday night and caught a 10pm flight to Cuiaba. We arrived close to midnight in the hotel. Fortunately the air conditioning was excellent as outside it was boiling hot. That feature remained for most of our trip. Early the next morning, Ailton Lara, owner of Pantanal Nature, came to greet us and introduce us to our driver, Francisco, who would drive us all the way to Porto Jofre. We set off at 7am and after a quick stop at a bank, we were on our way to reach the Transpantaneira Highway. The plan was to get to the Pantanal Jaguar Camp by lunch time and then head out on the river in the afternoon. When we arrived at the camp I was warmly greeted by Jose, who last year had managed the boat, but was now managing the camp. Jo, our guide, arrived as well. We had a quick lunch followed by a brief rest and then it was time to head out onto the river. 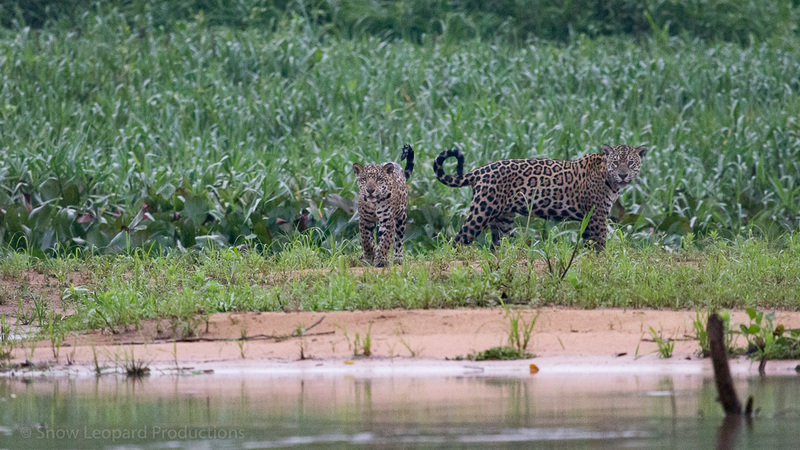 The Pantanal Jaguar Camp lies in the bush and so it takes about 10 minutes to walk to the river to board the boats. Did I mention it was hot? Apart from the three of us, there was an Indian gentleman and his son and together with Jo we got onto the boat and soon we had a breeze in our faces, which was very welcome. The river and the wildlife around it was very still; all creatures finding it probably too hot to move. Eventually we saw one jaguar hiding in the shade and some birds and capybara, but there weren’t any great shots to be had. Back in the camp and after an early dinner, we were all too exhausted to stay up for long and retired to our air conditioned rooms for a good sleep. The next morning we left a bit late for the morning boat ride, which meant that all the other boats were out there already. The Indian father and son had already been before they left for Cuiaba and told us there wasn’t much to see at the early hour either. Our boat ride didn’t yield too much either, but still some delightful birds to photograph, if they were willing to stay put and not fly away rapidly at our approach. For our afternoon boat ride things improved significantly. While still hot, the fish were jumping, we saw some cayman swimming in one particular channel and then the call came in that a jaguar had been spotted. Our boat driver (Shuday sp?) did a U-turn and then put the boat in full speed to commence a James Bond style pursuit to get to the location, which turned out to be quite a way away. We overtook one boat, then two, three and finally a fourth boat. The ride was exhilarating and eventually we got to the location, cut the engine and drifted into the pack of boats already assembled there. 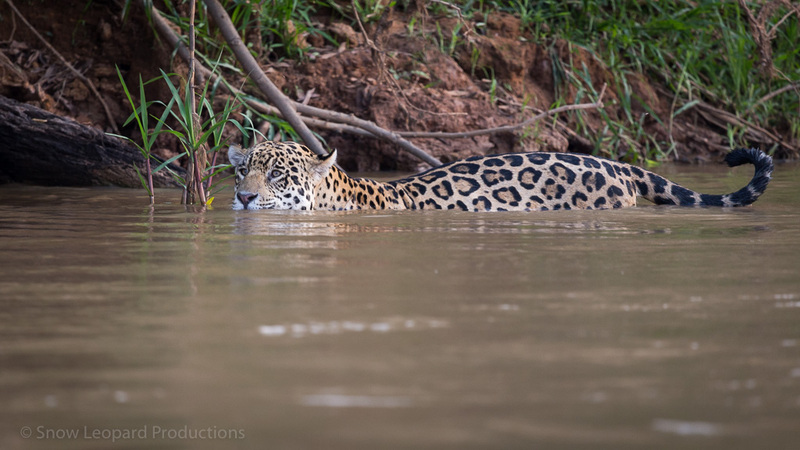 The jaguar was clearly visible and soon started moving along the river bank, disappearing for a short while before stepping out from the long grass surveying the river and the spectacle of all our boats before him. To the right of him was a capybara, but either he wasn’t hungry or he hadn’t smelled it, but he ignored it and stepped into the water instead. There he looked around again and indecisive, turned around, crossed a tiny channel and climbed up on the other river bank. He walked one way, walked back and then laid down observing the boats in front of us. I swear he was thinking about which one of us would be good to eat! One by one boats started to peel away, as the dusk was gradually falling and eventually we too had to move off. By the time we got to the main river things were distinctly dark and I was amazed at Shuday’s navigational skills. He got us back safely, but then we still had to walk the path back to the camp in the dark. The next morning we were on our way early. We had been warned that it looked likely for some rain to come and to bring our rain coats. That was a correct prediction, as later that morning it started to rain. But the rain was refreshing and lifted the exhausting heat that had been lying over the land. After lunchtime it really set in and in the afternoon I was all done up in rain gear, even the camera had its own rain jacket on. We had jaguar sightings in the morning and in the afternoon. Certainly with the weather not so hot, the animals were more active. We also saw plenty of birds and managed to get some neat shots of yellow rumped cacique and capped heron. But the best sighting of jaguar was reserved for our last morning. We left in the 5am darkness for our boat ride and at about 6am, just as the sun was rising, we came upon jaguars in the grass near a sandy beach. It turned out to be a mother with 2-3 cubs, not tiny, but slightly older cubs. We were the only boat there and cut our engine and floated quietly along the beach, almost holding our breath until the mother came out of the long grass with one cub in tow. The cub was beautifully curious, walking up to the water edge to have a good look at us before returning to her mother, playfully rubbing against her and letting her tail curl around her mother’s neck. We watched them for what seemed an eternity until other boats appeared and eventually they both disappeared into the grass again. For me it was the highlight of the trip and a great sighting to finish with, even if the photographic results were just OK, due to the minimal light we had to work with. After we returned to the Jaguar Camp we had a quick breakfast before piling into the van that was taking us back to Cuiaba for our multiple flights back to Sao Paulo. I suspect this was my last trip to the Pantanal. Apart from not having sufficient holidays to go another time, I again felt very much part of the problem and thought that the animals were skittish at the presence of so many boats and so many tourists. A permit system will need to be put in place soon, or they run the risk of the place losing its key attraction. Fourteen boats at one sighting is not a good thing, not for the animals and not for the tourists. A better solution needs to be found so that this type of tourism can be preserved as an income source for the local community, but while sustaining the presence of wildlife in a responsible way.